HOLLY NOTE: I can't speak to the motivation of other states, but Coloradans not being allowed to collect rainwater has been in effect for decades. Having lived in Colorado for nearly 30 years, this issue has been on my mind  like illegal immigration  for quite some time. Regulating water collection in Colorado has little to do with government control and everything to do with agreements made with other states to provide water for their residents. Some of these compacts go back to the 1940's, but states' concern for enough water pre-dates even the Dust Bowl days. That said, Colorado officials largely have not felt inclined to enforce this compact. Some have given tacit agreement to individual collection as long as you don't make a major deal over it and call attention to yourself. To set up a large rainwater catchment system like we used in Australia might raise a few eyebrows, but it seems most people could easily install a few 55-gallon rainbarrels and not cause controversy. As the official counseled a decade ago, discretion is advised. In December 1948, Colorado signed the Arkansas River Compact with Kansas. It that stated Colorado isn't supposed to materially deplete the river's flow. Part of this water comes from snow, runoff and, of course, rain. Over the years Kansas made a case that we were depleting their water supplies by not allowing ALL water to collect and flow eastward into that state. That includes rain. According to the Denver Post, "Disputes over the river date back more than a century. 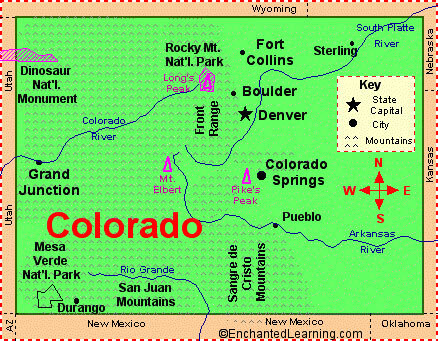 Kansas sued Colorado in 1985, claiming Colorado was improperly diverting millions of gallons of water. The Supreme Court ruled a decade later that groundwater pumping took water rightfully belonging to Kansas, and Colorado paid its neighbor more than $34 million in damages. "1 Last year they agreed to put the water wrangling to rest even though the $$ was still deemed owed. As water supplies dry up and states' populations increase  especially California, concerns over adequate water mounts. Since California supplies 40% of the Nation's food supply including most of our fruit and veggies, it's of vital interest to ALL Americans that they have plenty of water. California environmentalists' on-going worry for the smelt has caused many farmers to suffer because water preference has been given to this tiny fish rather than the farmer. Though this issue pertains to areas in Calif. that the Colorado River doesn't supply, it is yet another example of idiotic laws that put people, fresh drinking water and their livelihoods at risk over the well-being of a minnow. I agree with the author's bottom line premise that government is too big, grabs too much control, takes away too many of our Constitutional rights and often sticks its nose where it doesn't belong. Government has long forgotten that it exists for the well-being of Americans. Not the other way around. Unless we stand up against this tyranny, it will creep upon us, day after day, until we find ourselves totally enslaved by a world of corporate-government collusion where everything of value is owned by powerful corporations  all enforced at gunpoint by local law enforcement.